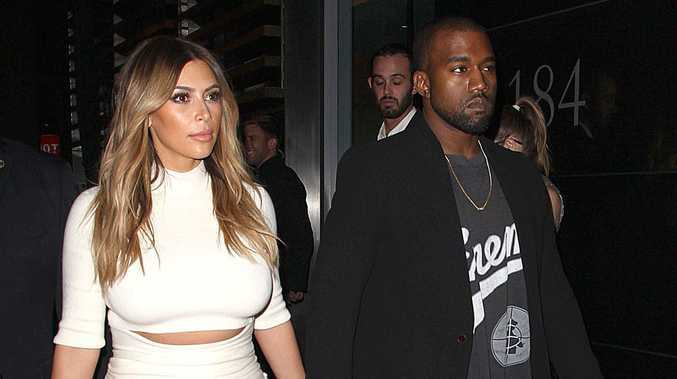 KANYE West is allegedly turning into a "bridezilla." The 'Blood On The Leaves' hitmaker - who has already vowed his wedding to Kim Kardashian will be the "biggest show on earth" - plans to oversee every aspect of their nuptials as he doesn't want it to be anything like the reality TV star's lavish wedding to Kris Humphries in 2011, whom she split from after 72 days. A source told gossip website RadarOnline.com: "Kanye has a very specific vision of what the ceremony should look like and this won't be an understated or intimate event. "Kanye wants the wedding to take place in Paris and has even indicated that he is willing to fly over Kim's family on his dime. "Kim is just letting Kanye take charge, as she has done with all other parts of her life. She is being consulted on everything, but it's very different from how Kim handled her wedding to Kris. "That was Kim's wedding. This is going to be Kanye's wedding." The 19-time Grammy Award-winner, who has a four-month-old daughter North West with the 'Keeping Up with the Kardashians' star, also plans to "see sketches of Kim's wedding dress, even though it's considered taboo for the groom to see it before!" The insider added: "Kanye considers himself to be an expert at fashion and wants Kim to look her best on their wedding day. He wants a dress that will show off her figure, including her infamous rear end!" Kanye proposed to Kim, who was also previously married to music producer Damon Thomas until 2004, on her 33rd birthday in San Francisco on October 21.